While the artwork might be a little iffy, Detective Comics #959's narrative saves the day here. 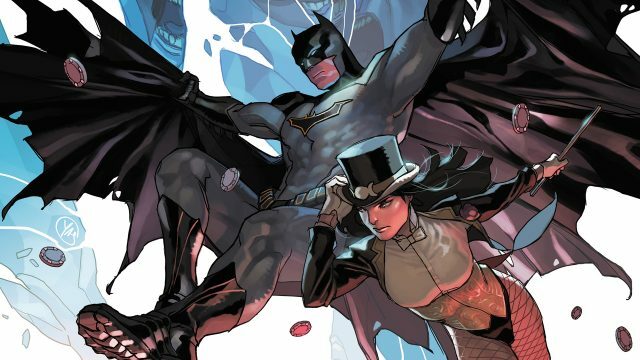 Seeing Batman and Zatanna teaming up again should please many longtime fans of the Caped Crusader and the Mistress of Magic. After the sensational start to the “Intelligence” storyline, Detective Comics #959 drops another sterling entry into this Azrael-centric arc. If you feared James Tynion IV was losing his touch after the “League of Shadows” debacle, then this new tale should convince you otherwise. This is pure magic, baby! 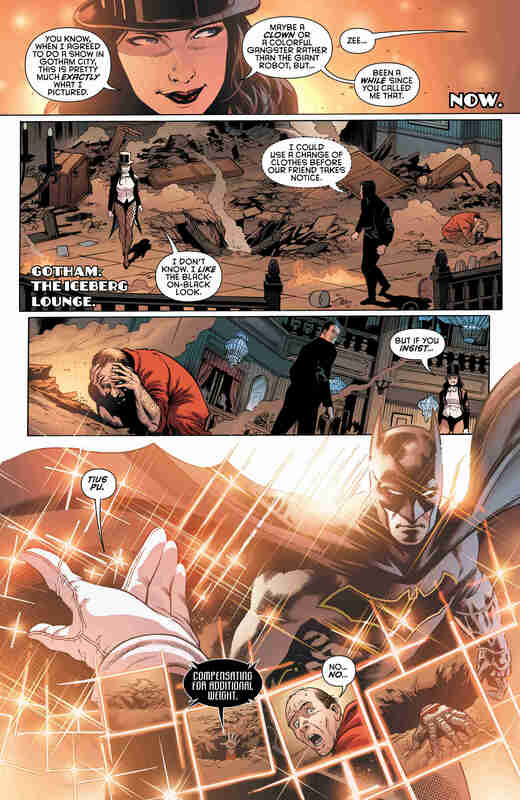 In “Intelligence” part two, Batman and Zatanna battle Ascalon, while trying to protect Brother Kodo from his clutches. The Bat Family swoops into the action, as Azrael tells everyone to stay back since this is his fight. However, something odd happens between him and the new Azrael when they clash. The exact nature of their exchange remains unknown until the end of the issue, where it appears Azrael has been reprogrammed and is about to break bad. 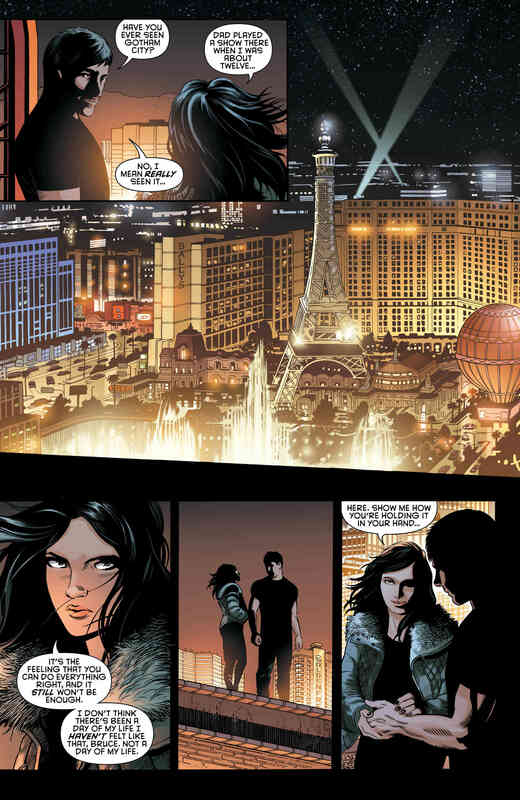 In the other subplot, we find out more about Bruce and Zatanna’s past, and how her father taught the young Wayne about magic. 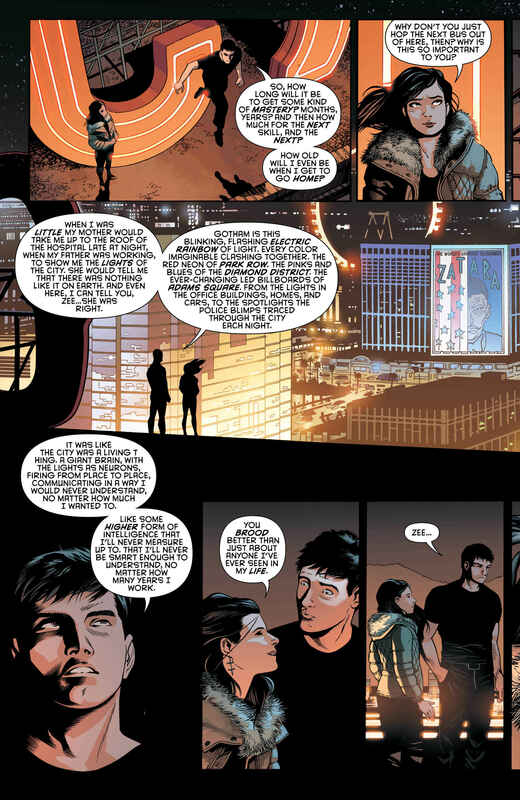 When we catch up with them on the rooftops of Gotham, they relive a conversation from the past and the Dark Knight asks for her assistance in another major matter: helping him find Tim Drake. About time that the Red Robin mystery is solved now, don’t you think? Once again, Tynion mows through the story in lightning-paced fashion. It doesn’t feel like the characters are standing still, even when they are, because every conversation and movement pushes the narrative a step forward. That’s one thing to love about Tynion’s storytelling ability: he knows how to utilize space and dialogue to tell a complete tale, without having to fall into the exposition trap. If I were hosting comic book writing workshops, I would use this issue as an example of how to show character motives without needing to spell everything out. 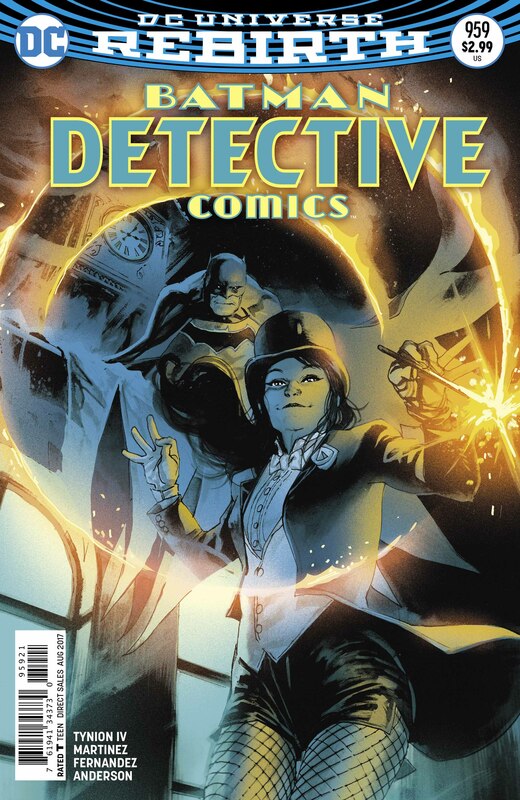 Additionally, seeing how Tynion brings Zatanna into the picture and ties her into Batman’s past and now his future will put a smile on any longtime fan’s face. He does hint at a romantic past between them, but I’m glad to see this hasn’t turned into an ugly love triangle since Bruce recently proposed to Selina Kyle. 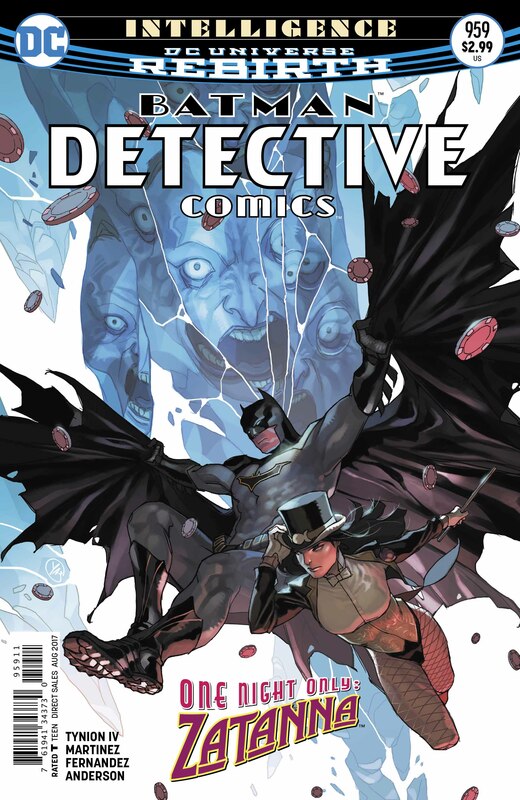 As it stands, Zatanna seems to be the key to saving Tim Drake from his prison. The question is, will she assist or not? I’m leaning towards the former. In the penciling department, Alvaro Martinez continues in his role from before. His contribution, however, is a step down from the previous issue. 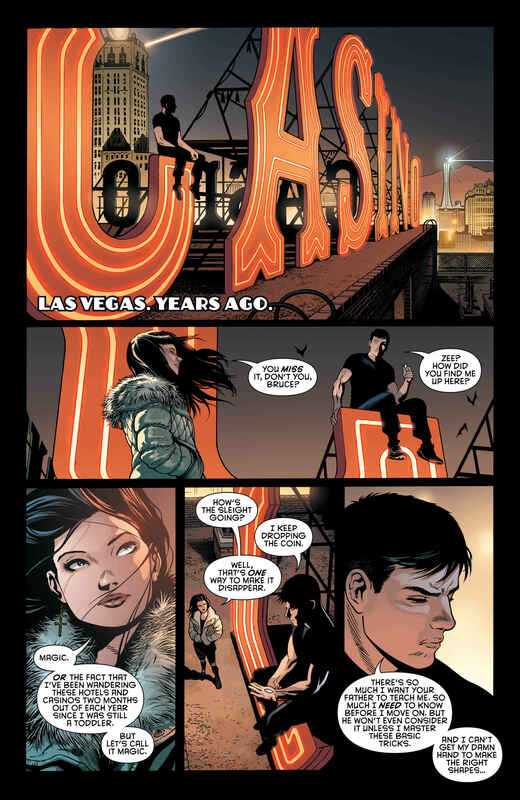 His scenic illustrations of Gotham and Las Vegas are beautiful to behold, but it’s his action sequences that leave a lot to be desired. There’s just no wow or impact in the clashes, as they feel extremely secondary. Thankfully, the action here is minimal, so we don’t have to experience a whole book of uninspired battles. Despite the less-than-stellar artwork, Detective Comics #959 leaves you with a sense of satisfaction when it’s all said and done. This story is only heating up, but it’s already sizzling for the people who’ve been keeping up with it. When Tynion is at his best, he simply has no peer and delivers marvelous arcs.